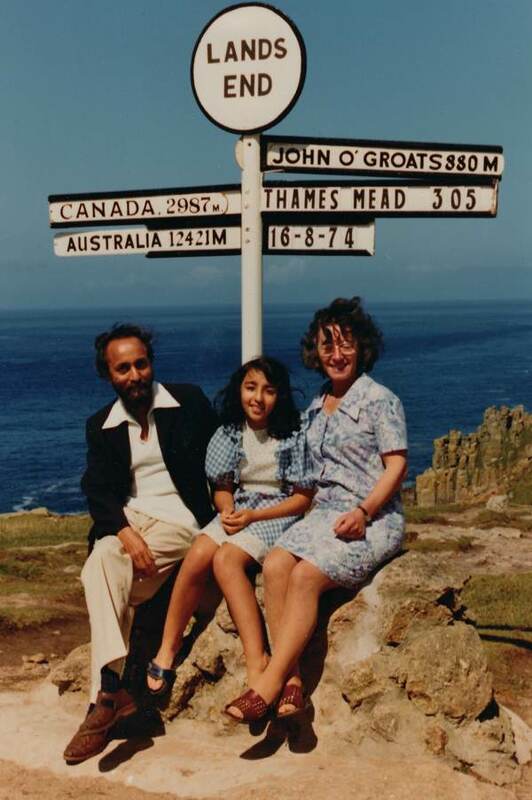 Observe this happy family group on their holidays at Lands End in 1974. A cherished memory for Deena now that both her parents are gone, and especially significant as she looks back upon their lives and realises how unusual such a marriage was in its day. For both her parents stepped outside their own cultures to forge their relationship, making bold personal choices that went against the custom of the time. Yet the reward of their moral courage was the loving family life which Deena enjoyed as a child, recorded in this affectionate holiday photograph. 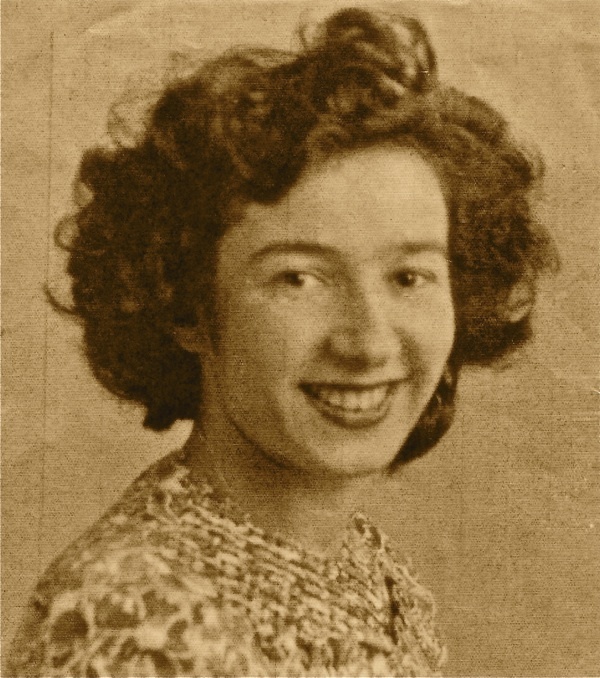 When this picture was taken, Deena’s mother was known as Elizabeth Omar, reflecting her marriage to Deena’s father Mohammed Omar and her status as a professional woman working her way up the financial hierarchy at British Telecom, but when she grew up in the Boundary Estate in the nineteen thirties, she was known as Bessie Benjamin. 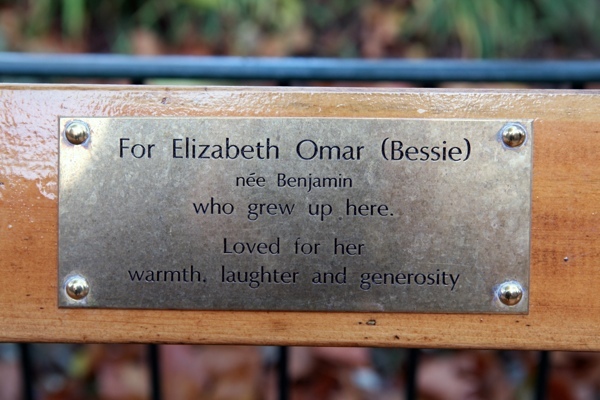 A year after her mother’s death, Deena Omar came to the East End this week for the inauguration of a commemorative bench in the park at Arnold Circus and, over a quiet cup of tea in Calvert Avenue, she recounted her mother’s story for me. Deena told me she first came on an architectural tour of the Boundary Estate and was astounded how beautiful it was, recalling that her mother’s family could not wait to leave it more than seventy years earlier. “My mother was always known as Bessie. She was born into a large East End Jewish family in Bethnal Green in 1922. Her parents were born in this country but her grandparents were from Poland – her mother’s maiden name was Esther Rosenberg and her father was a cobbler by the name of Moss Benjamin. Shortly after Bessie was born, they moved to 10 Iffley Buildings on the Boundary Estate where she spent her formative childhood years. There were seven children and two parents in a two bedroom flat with no bathroom, so in 1938 when they got the chance of a four bedroom flat with a bathroom in Stamford Hill that was a really good move. Yet even though it was really poor and run down when they lived in Arnold Circus, it was a big improvement on the place they lived in Bethnal Green. Nevertheless it was hard growing up there, overcrowded, and there was sickness in the family. The blackshirts used to stand directly on the streetcorner outside handing out leaflets and the family used to tip water onto them from the window high above. Bessie left school at fourteen, she was smart with a great head for figures and had no trouble getting a job. She worked in the accounts departments of lots of different companies, including Max Factor and the News of the World. 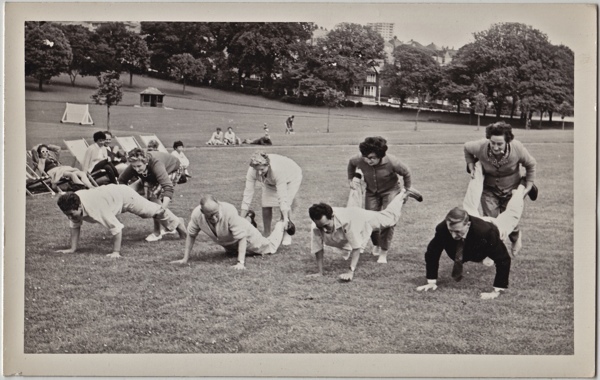 During the war, she was a switchboard operator for the fire service in Clerkenwell and she did a circuit each day checking the hydrants on the street. One night, she decided to go the other way round and that was the night she would have been hit by a bomb if she had gone the usual way. She was very proud of that. 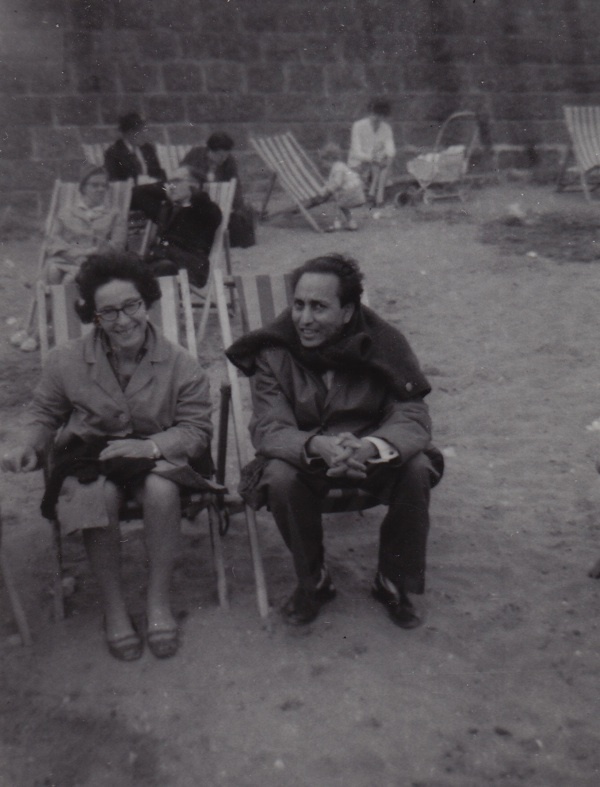 She married a Bengali immigrant – she met him in the late fifties when he was working in an Indian restaurant, the Bombay in St Giles High St. One of her sisters Dinah introduced them. What Aunty Dinah was doing hanging out with a lot of Bengali waiters, I don’t know – but she never married and I think she had an interesting life. The relationship started quite late for both of them and by the time I was born my mother was thirty-nine. 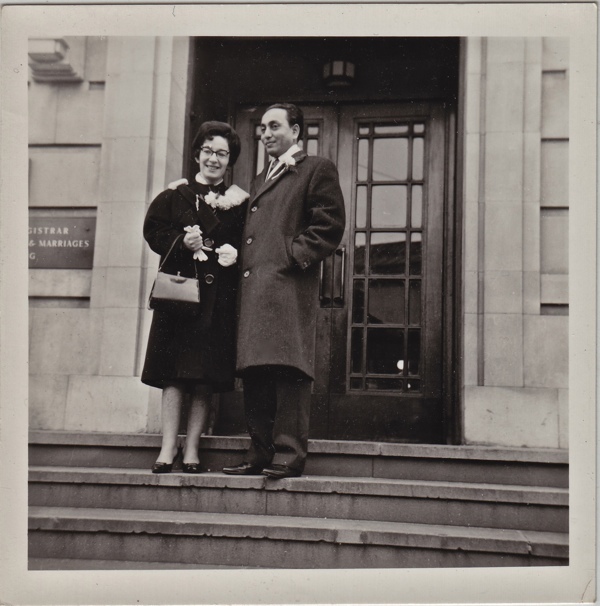 They got married at Hackney Town Hall and the reception was at my Aunty’s flat, it was a civil ceremony. This was in the days when mixed-race marriages were few and far between. As their daughter, looking back, I can only wonder what they may have endured. 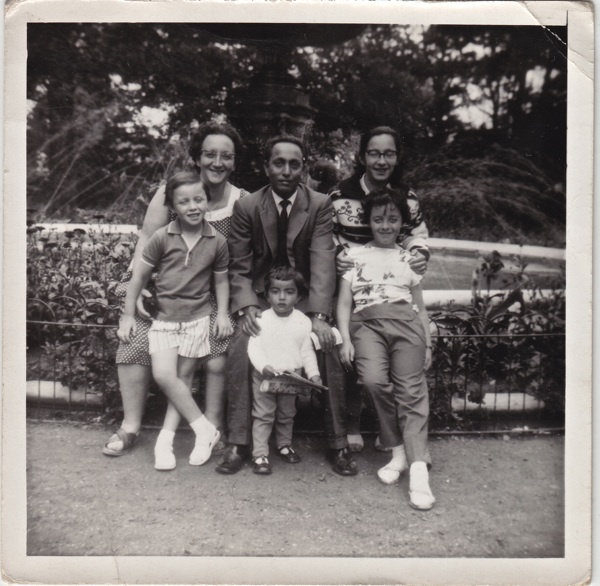 But my mother’s relatives – an unconventional Jewish family - welcomed my dad into the bosum of the family. I never knew my grandfather Moss but I heard that when he was very old man he like to play cards with my dad, so I think they must have got along. He came from a large Bengali family, and he ran away from home and lied about his age to join the Navy. He was so enamoured of England, yet he struggled when he came to London and life was hard for him, living in various lodgings. He was looking for love and he was a romantic. He wanted to have children and to make something of his life. He went to college as a mature student and studied to be an engineer but he couldn’t get work at it. He progressed from being a waiter to being a manager and he opened his own restaurant in Wallington but it didn’t work out. He never fulfilled his career goals but instead he found love and had a child. He was the sort of person who was interested in poetry and philosophy and spirituality, the complete opposite of my mum – she was down-to earth and she was the breadwinner. 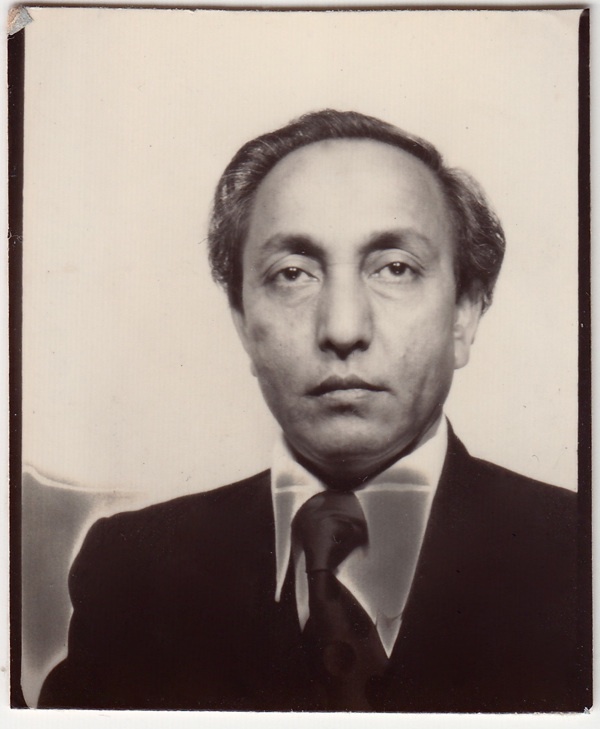 My father became a muslim in his late fifties but by then I was sixteen and I had been brought up in a secular household where we only observed major holidays. We ate bacon and we didn’t eat kosher. My father ended up as kind of teacher, teaching the Koran to children. 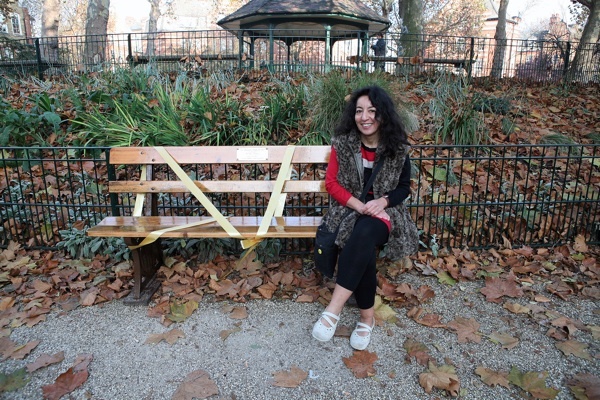 I joined Deena and her family gathering at the bench in the November sunshine, surrounded by the falling leaves cast down by the plane trees in the park at Arnold Circus. The bench was a former GWR specimen placed strategically across from Iffley House, and we all raised a glass of champagne to the memory of Elizabeth Omar née Benjamin. We cast our eyes up to the windows where she might have leaned out more than seventy years ago, aged fourteen, to empty a bucket of water onto a blackshirt below and we celebrated the life of a remarkable woman. 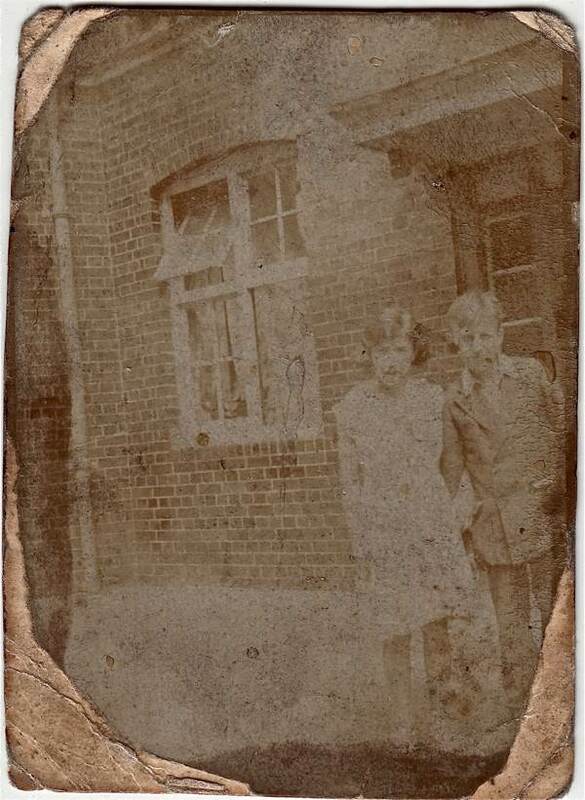 Bessie Benjamin and her brother Louis at the entrance to Iffley Buildings in the 1930s. 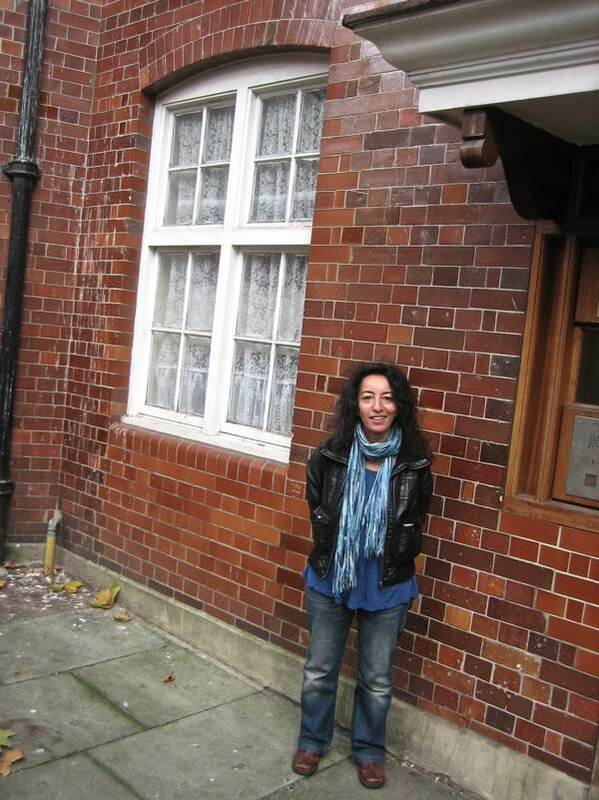 Bessie’s daughter Deena returns to Iffley Buildings more than seventy years later. Lily, Bessie, Dinah and Carrie Benjamin in the 1950s. Bessie and Mohammed on the steps of Hackney Town Hall after their marriage. Bessie and Mohammed wrapped up against an English Summer’s day at the beach. 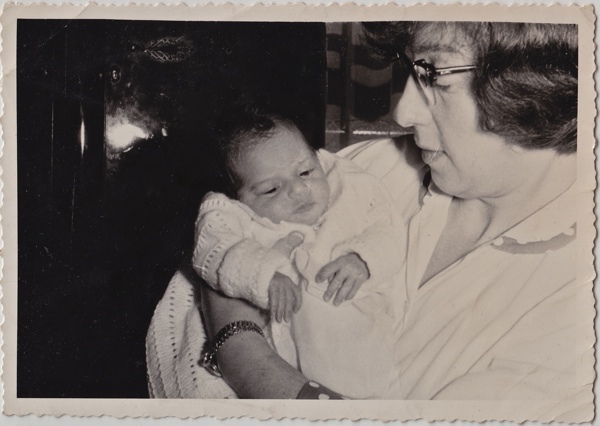 Deena as a baby with her mother. 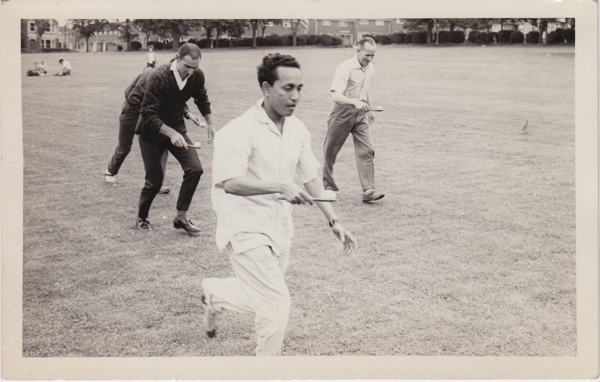 Mohammed wins the egg and spoon race. Bessie and Mohammed enter the wheelbarrow race. Lily, Mohammed and Bessie with Deena in the centre. 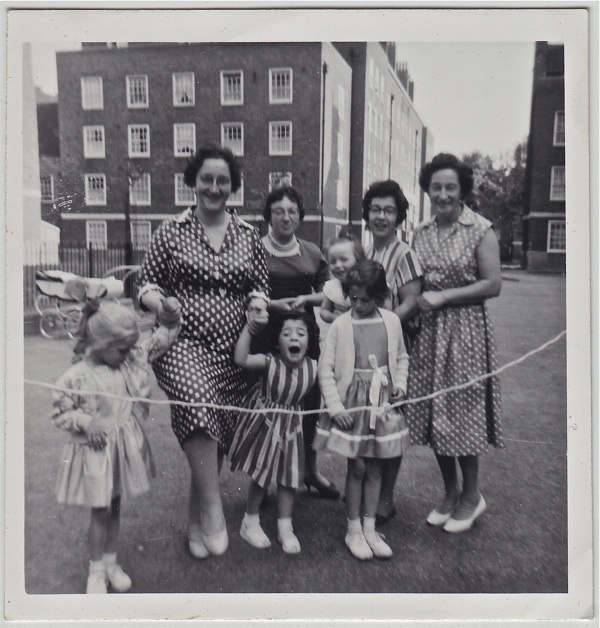 Lily, Dinah, Bessie and Carrie with their children in Stamford Hill in the 1950s. 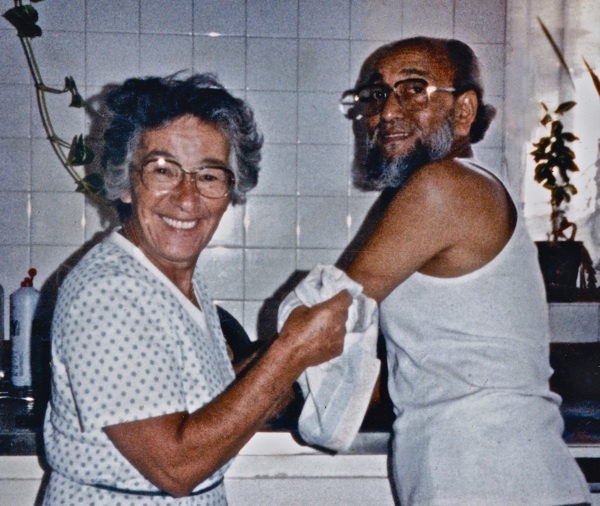 Bessie and Mohammed in later years. 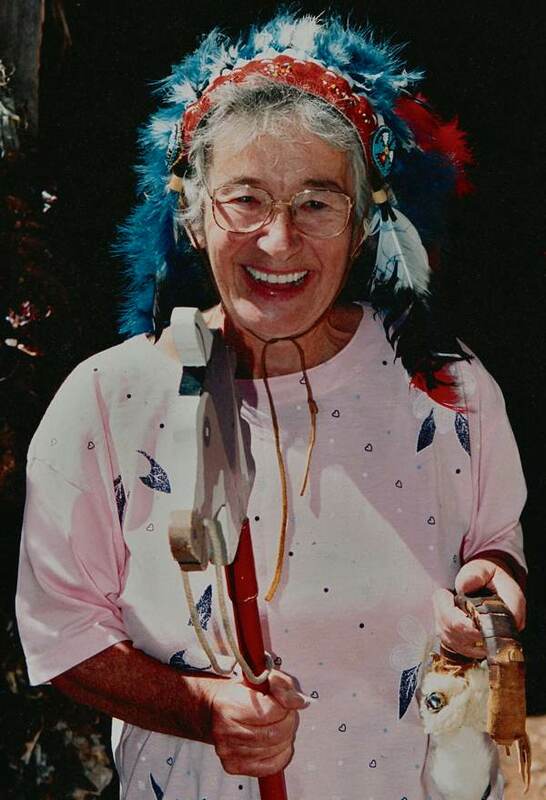 Bessie visited a Native American reserve in the 1990s. 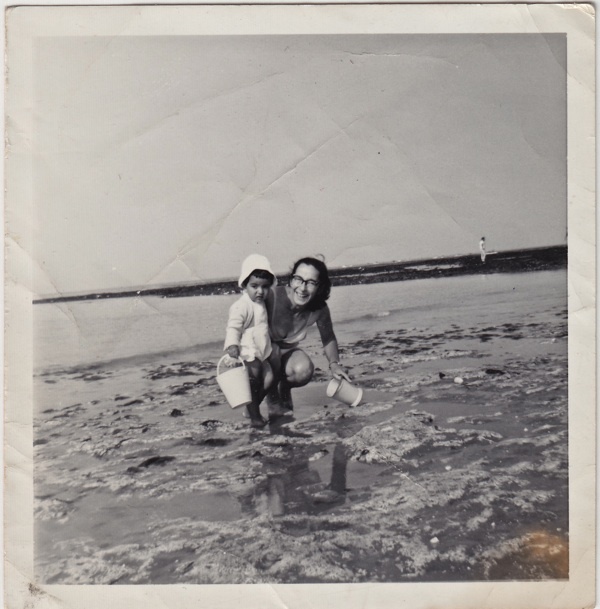 Deena took her mother to the sea for the last time in 2006. Elizabeth Omar (Bessie), née Benjamin. Deena Omar sits upon the bench in commemoration of her mother. 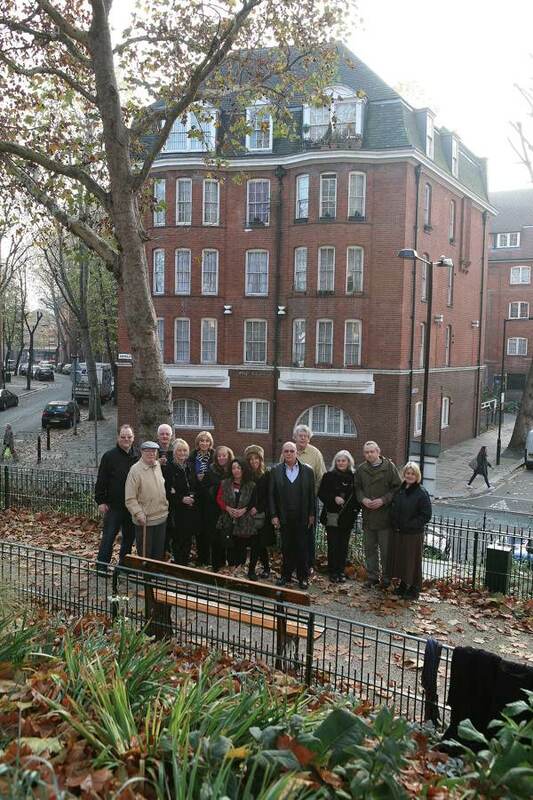 Friends and relatives stand in front of the bench with Iffley Buildings in the background. An inspiring life, lovely story, thank you. A truly beautiful article. Wonderful. What a wonderfully special article! Love the pieces you write that celebrate individuals and tell remarkable stories of everyday courage and persistence. And the Boundary Estate buildings are indeed beautiful. Will look out for the bench. 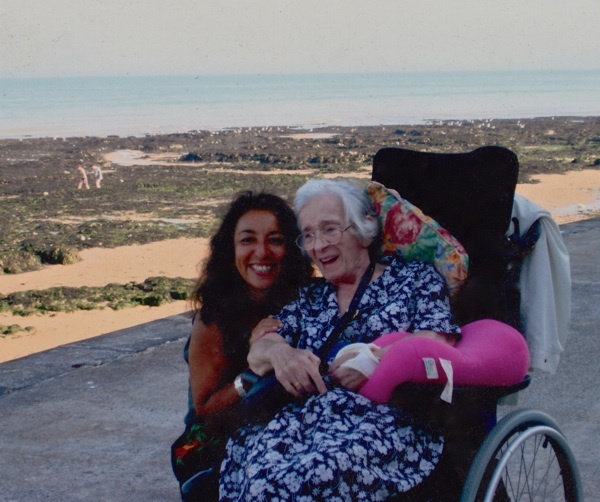 A lovely well portrayed story of Auntie Bessie’s life – it was wonderful to read about my dear aunt and her life. The photographs brought back some lovely memories of my childhood amongst such a warm family and the ‘launching’ of the bench was a really lovely moment. I’m glad I was part of it. Thanks Deena! I love this story, thanks to Deena for giving photos of her parents and telling of their lives. Wonderful story and photos, Deen. I really enjoyed reading about your parents and family Deena, thank you for sending me the link. 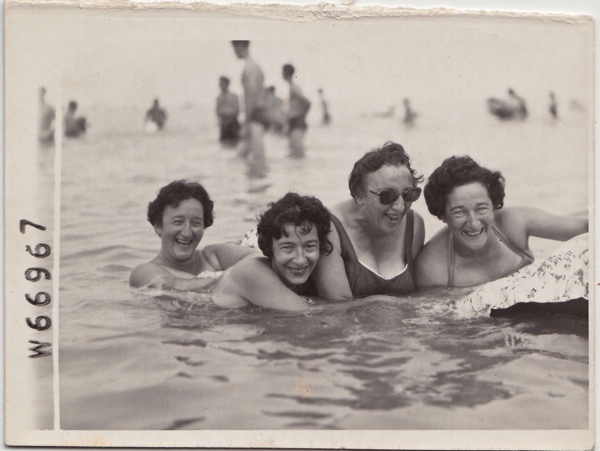 Your mum and her sisters look like they knew how to have fun! What an interesting story Deena. My parents also married people of another country and never quite saw eye to eye because of the cultural differences…..you obviously cared a lot for your mother and I think this is a wonderful memorial to her and her family! Well done for taking the time. Thanks Deena. Stories like that make history real. What a tribute to your mum and dad to tell it so nicely with such great pictures. I enjoyed reading your mum’s story, thought it was written sensitively, and I got a real sense of the warmth of your mum and your family Deena. Very moving, and I am quite envious.